Cut your coffee consumption in half, and double the pleasure of drinking it with chicory, one of the best traditions of New Orleans, folks who take their coffee seriously. Chicory has a plethora of healthy benefits for your heart, kidneys and liver. the smooth taste of the roasted chopped root mellows out the bitter edges of coffee. Follow the directions for your coffee maker, using apx. 1 heaping teaspoon of coffee/chicory to each cup of cold water. Serious coffee folks disdain the use of electric coffee makers and opt for French press or stove top percolators. Spice it up with the addition of a few cloves, or a dash of cinnamon/and or cardamom. 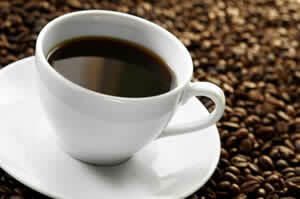 The old folks add a spoonful of eggshells and/or a pinch of salt to further decrease the acidity of coffee. Cafe au Lait is made with equal parts of scalded milk and coffee, usually served with sugar. Gout :Gout, one of the most painful forms of arthritis, is found primarily in men. While we can't cure it, we do have several highly effective herbal treatments to control it.